I passed this joint on the way to another appointment and a made a mental note of its location for a return visit. I was the lone customer at this off hour and they were tidying up the extra room from a big lunch business. 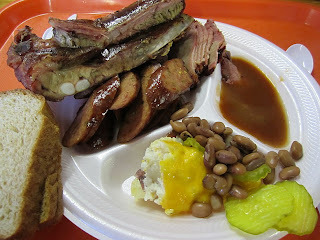 I ordered up my usual 3 meat plate, brisket, ribs and sausage, with the sausage being the Feedstore premium link. 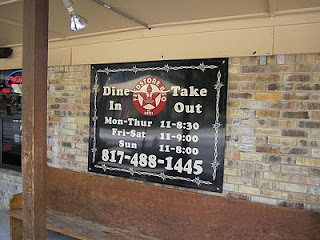 I should have asked if they made their jalapeno sausage and tried that, but I didn't. Their fine grind premium link was pretty good, but had no smoke flavor. 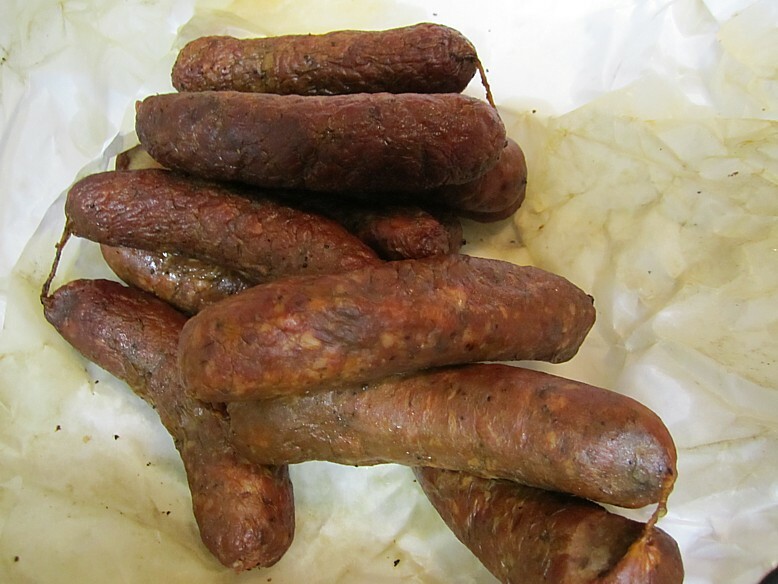 It had more of a ham taste than any other sausage I have had. The casing was just right and the flavor was definitely original. 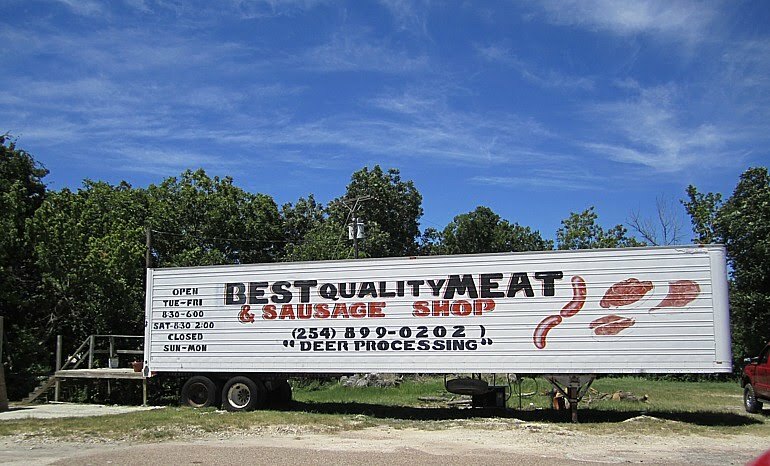 I may have to return just to see about that jalapeno sausage. The brisket was thinly sliced with scant evidence of a smoke ring and zero smoke flavor. Moisture and tenderness were good, but it was pretty much just thinly sliced roast beef to my taste buds. 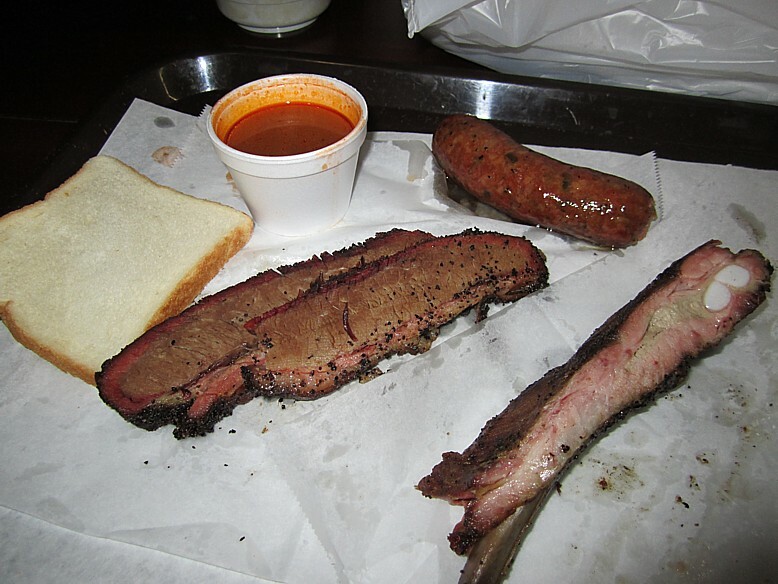 This is the kind of brisket that sauce is made for. The ribs were probably the meat highlight. Moisture and tenderness were right on. The meat pulled easily from the bone but wasn't falling off. There was a nice sweet bark that added just a bit of flavor, however there was no evidence of smoke. I got one inside bone and a rib tip and the tip was just a tad chewy. I enjoyed both ribs, though. They have 2 sauces available, a mild and a spicy. 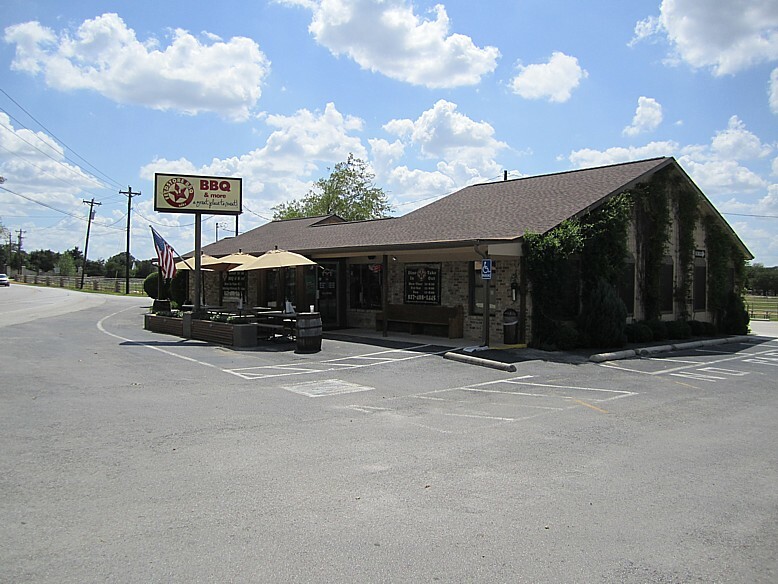 The mild reminded me a lot of City Market in Luling, with a heavy mustard content, however it was not as heavy on the mustard as Luling. I liked it better than City Market's sauce and it helped out the bland brisket considerably. The spicy sauce was a deeper red and I seemed to detect some chipolte pepper content. It was good and spicy. The sides were both above average. The tater salad was a nice creamy mustard base with bits of onions and sweet pickle sprinkled within. The mac and cheese had an extra creamy base and was about as good as mac and cheese can get. Bravo! I did have to take a picture of a framed poster they had on the wall. 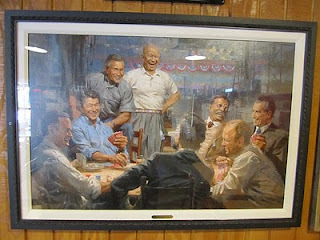 Sort of the dogs playing poker painting, only it is all Republicans! I have no doubt Nixon has an ace up his sleeve and Teddy Roosevelt will shoot him when he finds out! 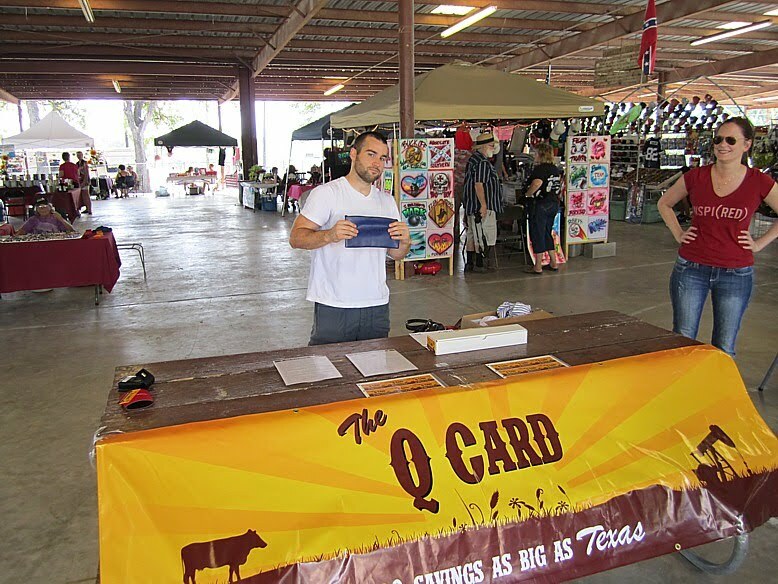 If I get back that way I will have to check out that jalapeno sausage. 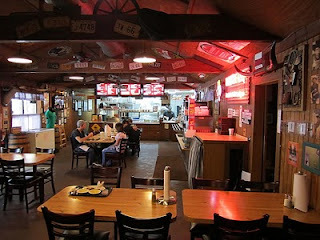 There is a reason this is my very favorite local BBQ joint. Actually, there are a lot of reasons. It is 2 miles from my house. They are two times WORLD RIB CHAMPIONS. They have all you can eat for $12. Their ribs are fantastic. 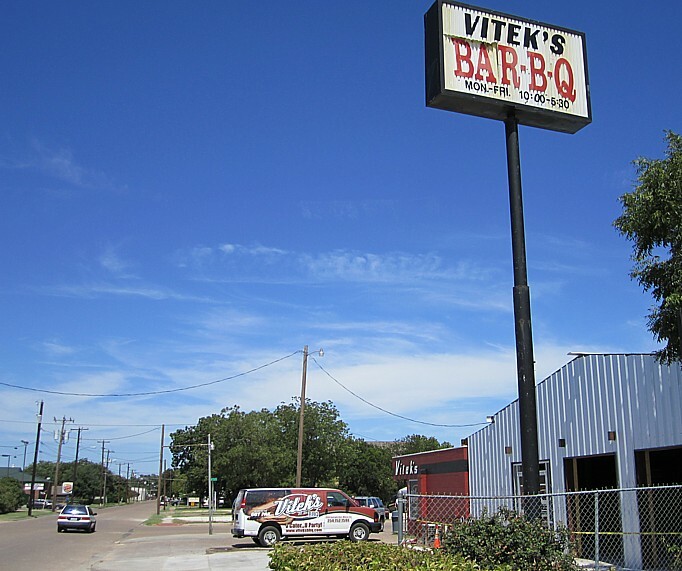 Their brisket, can be fantastic, but is somewhat inconsistent. I think I have the brisket thing figured out, though. Usually, there is little smoke flavor other than around the rim, so from now on, I'm just going to get them to cut burnt ends for me. That's where all the smoke flavor is. The brisket I had today (all from corners) was exceptional. 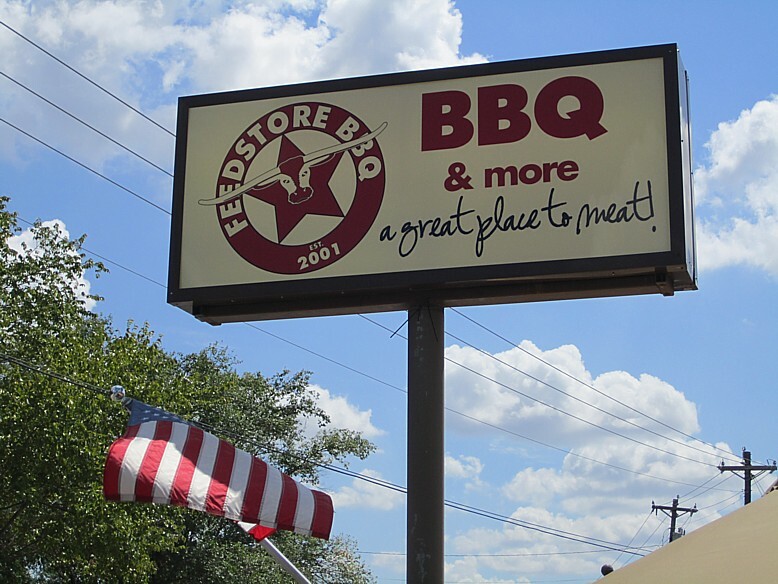 Now I see how that guy from the food network put them on "The Best Thing I Ever Ate" for their brisket. Now I get it. This wasn't the best brisket I ever ate, but now I can understand how it can rank. 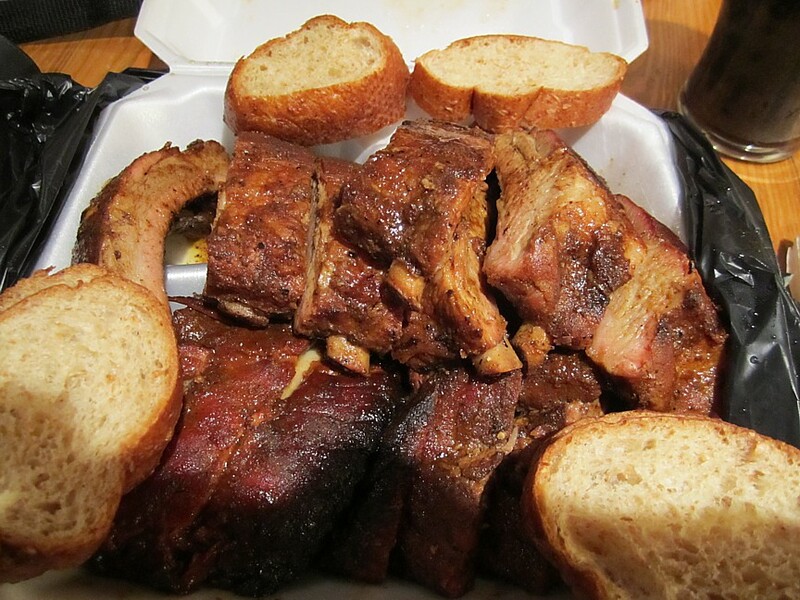 The ribs here are just as good as ribs can get. That's all there is to it. 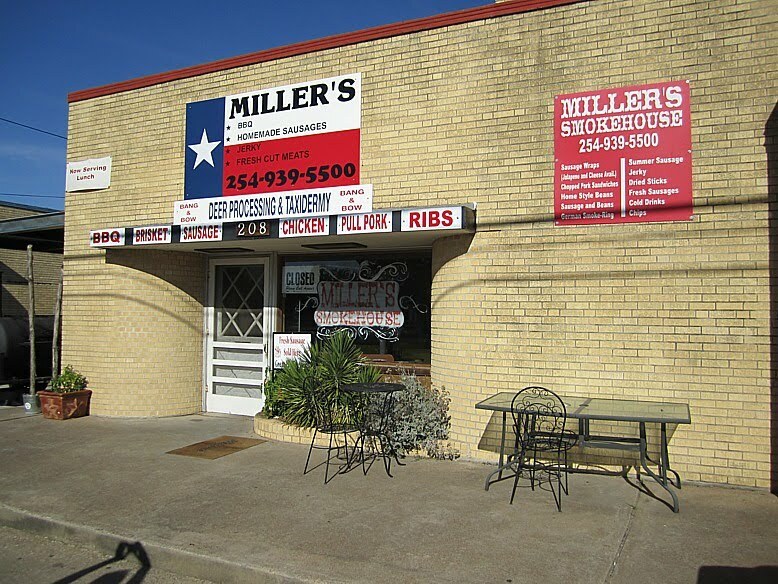 I have eaten at dozens of other joints and will occasionally have ribs AS good, but I have never had any better, anywhere. Just look at the moisture and smoke ring in the pictures below. Every bite of those ribs produce a dribble of juice down your chin. Just magnificent. The chicken today was excellent, too. Great moisture and smoke flavor with a nice spicy rub. 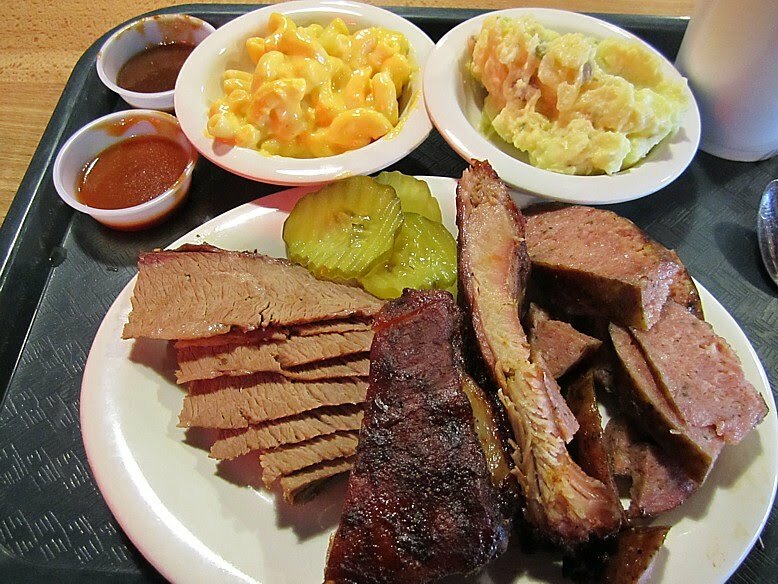 Sides are average, but go well with their exceptional meat. They have fine spicy sauce, also, but I had no need of it today. My little plastic cup of sauce remained unused. The meat was just too wonderful to use sauce on. Sadly, this joint is only open Friday, Saturday, and Sunday. But I guess otherwise I would never go anywhere else. It is also BYOB, so if you want beer, just bring your cooler. CLICK ON THE PHOTOS BELOW FOR LARGER MOUTHWATERING VIEWS! 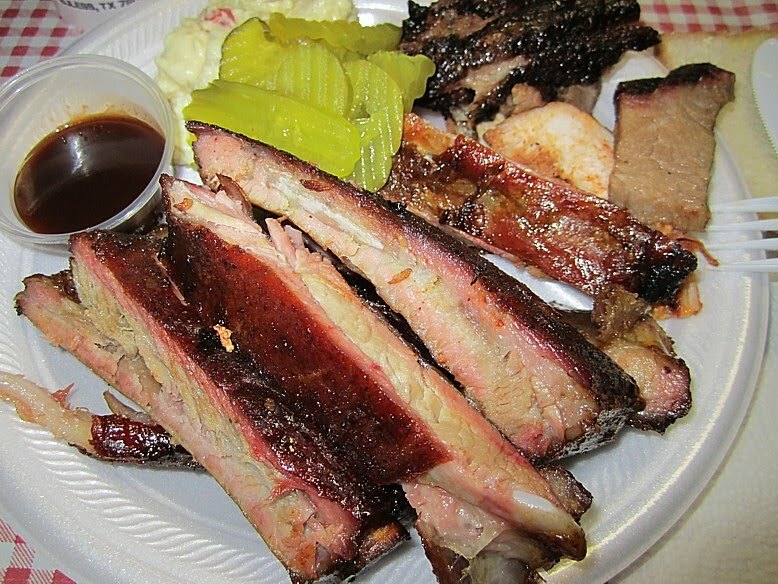 Ribs with NO sauce from Off the Bone BBQ on Lamar St in Dallas. Picked up about midnight. Man, they were good! 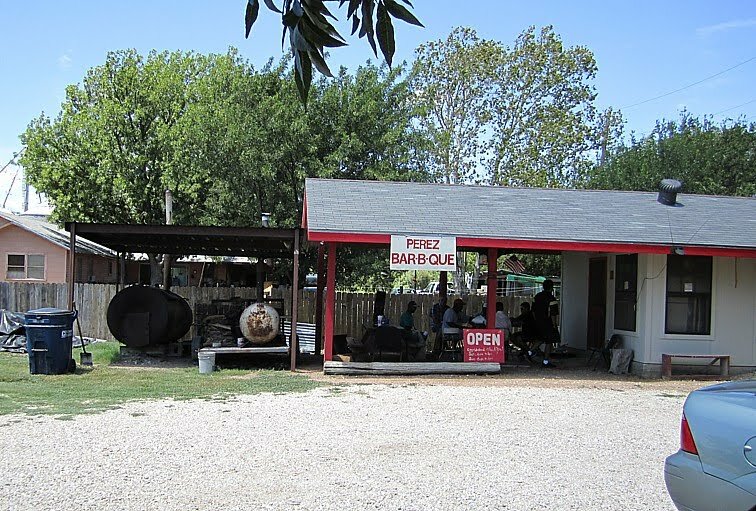 We whizzed past this spot on I-35 headed north through Waco, and being determined to disprove Scott's highway BBQ adage, I circled back for a taste. Despite what the sign says, they are durned sure open on Saturday. 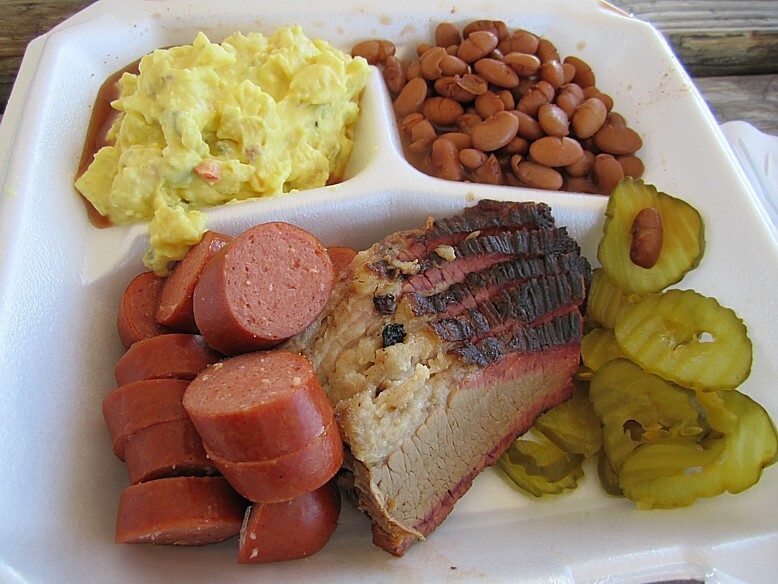 I opted for the 2 meat plate with brisket and hot link and was served up one of the prettiest boxes I have seen in awhile. This would score high on any judge's BBQ appearance card. Unfortunately, the "hot link" was neither spicy or heated. If anything it resembled a weak and sickly hot dog waiting to go into the pork and beans for beanie weenies. One taste and the rest was consigned to the circular file. 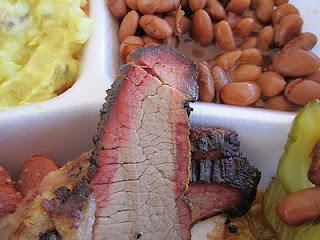 The brisket was beautiful with a deep smoke ring, but curiously had little smoke flavor. However if you picked off the end bits there was some nice smoke at the tip of each piece. The brisket was tender with decent moisture but needed some sauce. 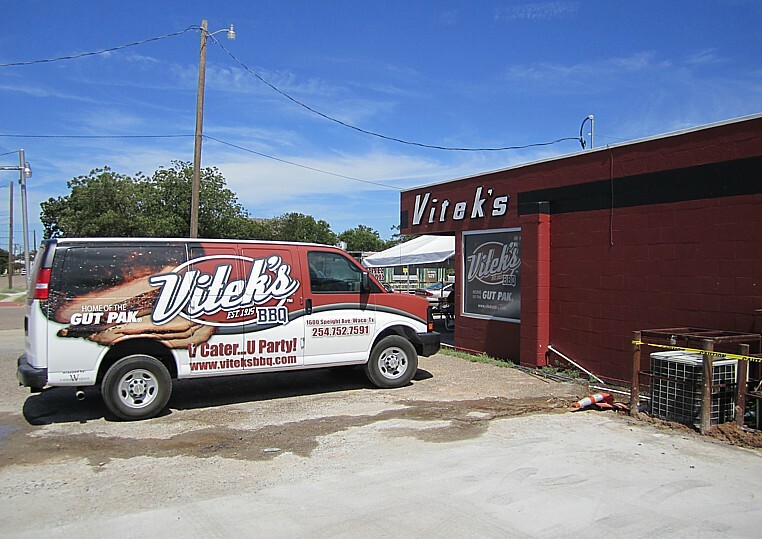 Here was probably the high point of my Vitek's experience. They had a really thick sweet sauce with a nice punch of heat. One of the better sauces I have had in awhile. Once the dipping got going the brisket disappeared quickly. Scott got a sandwich and I think if we return I'll be going that direction. Sides were decent average mustardy tater salad and nice pintos. They had Dublin Dr Pepper, which is the mark of a class joint. They are working on a major expansion to this place, probably due to their "famous gut pack", but I think the Q here has some potential. They are not dangerous yet, but could be. I think we'll be back again and I will have to try the ribs. Damn, damn, damn! Why did we stop at that Cowboy BBQ joint? This place closed 10 minutes before we arrived. Next time!! Unfortunately closed on weekends. 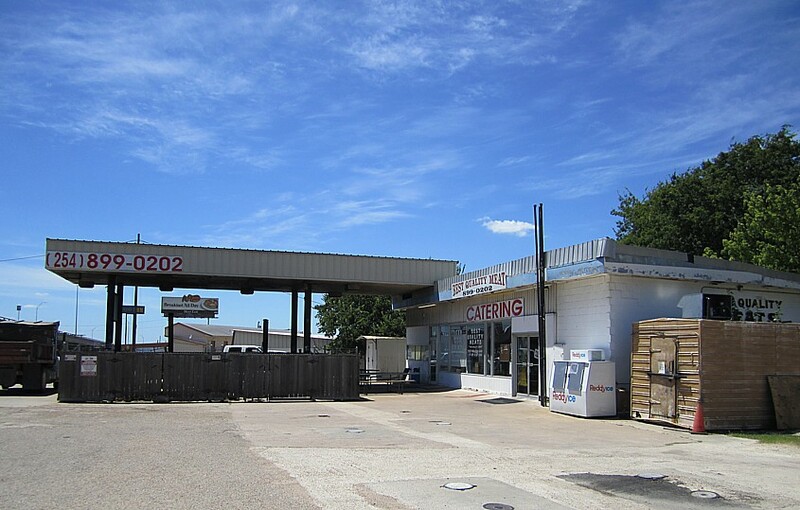 It's right down the street and around the corner from Schoepfs, but looks like a likely stop on a future trip. My buddy Scott has a warning. Never eat highway BBQ. I ain't skeered. 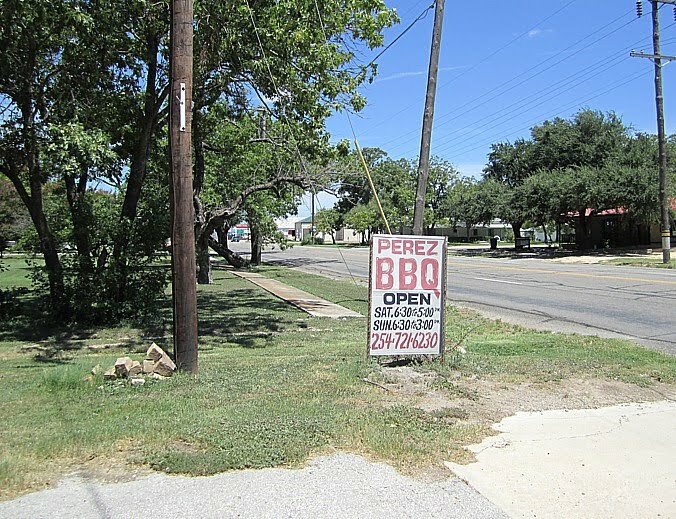 If it says BBQ I'll try it. However this place just gave him more ammunition. I've seen this joint for several years off I-35 next to the Robertson's Ham Sandwich place in Salado, but I can now cross it off my list. Permanently. Every item suffered from holding time issues. 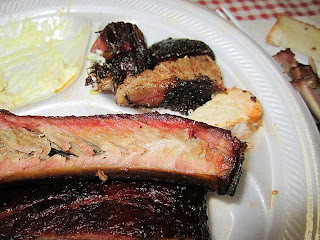 The rib was partly dry as was the brisket and sausage. There was no smoke flavor in anything. 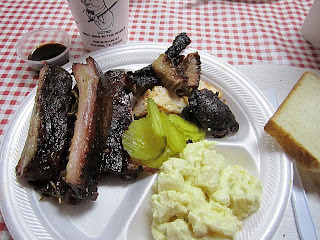 There was little flavor at all in either the brisket or rib. A couple of bites was all I needed and I was done. Sausage was from Meyers in Elgin but had definitely been in the warmer too long. One different thing they do here, not that it's worth stopping for, is sell you the meat by the pound, then the sides are included over on a sidebar. 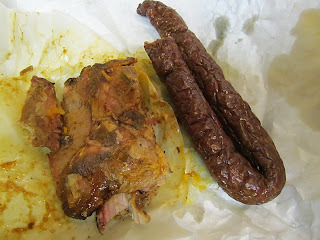 After you pay for your meat and drink, you just help yourself to the sides. This is a joint we had passed many times before on our forays south to the BBQ grounds. Unfortunately, we always passed by during the week when they were closed. Finally we managed to get the timing right! Daniel from Full Gospel preceeded us by a few hours and we found his comments to be spot on, as usual. 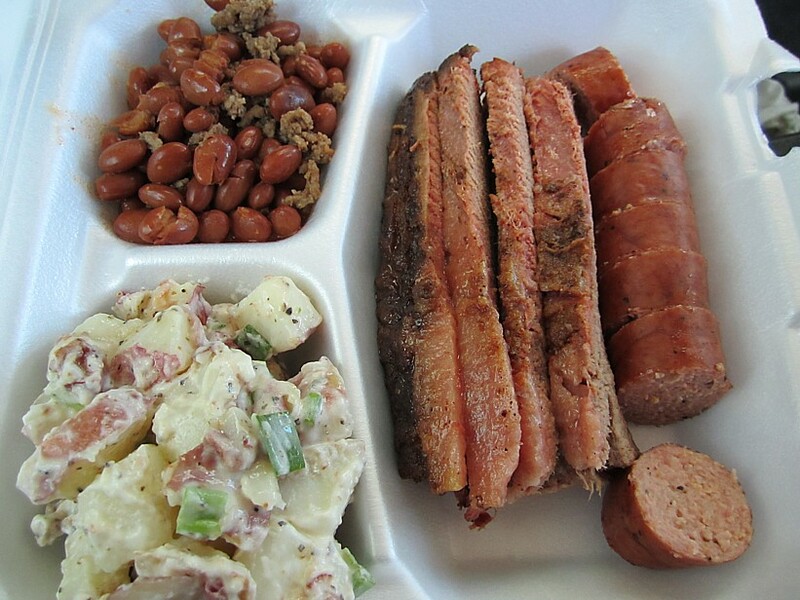 I opted for brisket and a sausage link. The brisket had been kept in a tub of tomatoe-y sauce and for all the world tasted like crockpot BBQ. I know it wasn't, there were good smokers out front, yet there was nary a hint of smoke flavor. In fact what you mostly got was the flavor of the sauce. Think roast beef sloppy joe and you just about have it. The sausage was much nicer. A good snappy casing with a medium grind low spice beef sausage inside. It was excellent hot off the pit. I doubt it could rival Kreuz or even Louie Mueller's sausage, but it was way better than most. One link would probably make a meal for most folks. As we were on a quest for quantity this day, I skipped the ribs and sides but I think if we get back that way on a weekend we shall investigate further. There was a pretty good game of dominoes going on out by the pits and by the time we left there were more cars rolling up for lunch. It seems to be the happening spot in Bartlett. I packed mine away for later and the photo below is after some cooling and travel. I also got a piece of his signature turkey sausage and enjoyed it as always. Every time I walk in that joint and see Mr Mares sitting in his usual spot I know all is right with the world. 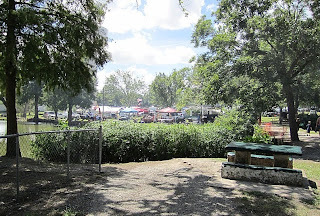 After saying our goodbyes to the folks at Louie Muellers and icing down my sausage purchases, we wandered over to the BBQ Cookoff at Murphy Park. For $6 you could wander the grounds observing all the wild and crazy antics of competition BBQ cookers, just before their first turn-in was due. Beer and smoke were everywhere. The rigs ranged from the simple to the outrageous. Some had sponsors and elaborate set-ups. Others had bare tables, basic smokers, and were just concentrating on the meats. 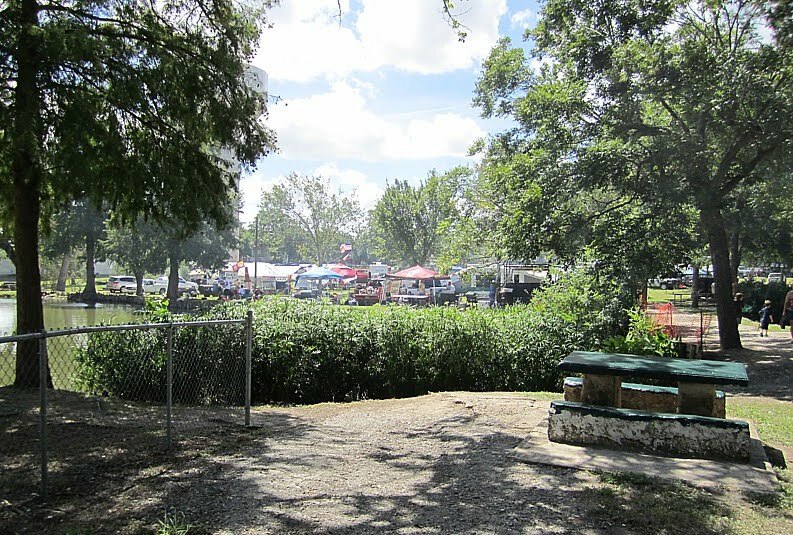 As much fun as it was to watch folks make BBQ, we decided we'd much rather be eating it so we cut our visit short. Before we left we ran into Drew from the Man Up BBQ blog under the nicely shaded pavilion. It was great to finally meet him in person and tell him how much we enjoyed their work. He was kind enough to fix us up with some Man Up goodies and we took him our DP sauce and some of the dreaded BBQ sauce ice cream. Daniel over at Full Custom Gospel BBQ invited us down to a BBQ bloggers "meating" at Louie Muellers in conjunction with the annual Taylor International BBQ Cookoff. Knowing full well this was a most excellent excuse for a full day BBQ road trip, Scott and I headed south at the un-Godly hour of 7 am. 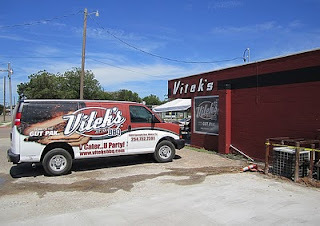 I know that will shock some, who know I seldom rise before the crack of noon, but right there is the proof that the prospects of enough smoked meats can drive a man to do almost anything. On the way down, we started picking out various places we had not visited before and started to plan a full day of smoked animal ingestion. 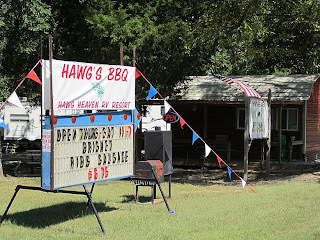 By the time we arrived in Taylor, we had a list of 8 spots we hoped to hit in a single day. At Louie Muellers I soon spotted Daniel in the parking lot. He is undoubtedly the Grand Poobah of all the BBQ bloggers and it was a great pleasure to finally meet the man who inspires us all. His lovely wife and daughter were also in attendance and I can testify that both have halos over their heads and wings on their backs. Daniel also introduced us to Chris and Gary from the Dallas Morning News who were in town for the Cookoff. We waited our turns in line and I somehow missed out on the usual bite of brisket while waiting. I made up for it by ordering a dozen chipolte rings and a dozen jalapeno rings to go, knowing the line was likely to be much longer when we were ready to roll out. That proved to be a wise decision. Knowing we were in for a long day of consuming tasty animals, I opted for a light start with a couple of slices of brisket, one jalapeno link, and one rib. The brisket was a little dry and not much smoke flavor but plenty tender with their usual dynamite pepper rub. I had been standing in line a long time while they wrapped my sausage so a little dryness was no big deal. The jalapeno link was awesome. A little on the wet side but awesome flavor and bite. Last time I had visited Louie's I had promised to bring back sausage in quantity and that link confirmed my determination to do so. I have some good eatin' in the weeks ahead. The rib was curiously without their usual thick pepper rub but it was perfectly tender and cooked to perfection. There was not much smoke flavor but it was packed with juicy pork goodness. If we hadn't had a bunch of additional places to go that day I would have gotten back in the lengthening line for some more of those ribs. Daniel fronted me a piece of smoked ribeye that was wonderfully tender, but honestly, it just didn't taste like BBQ to me. It was more of a nice grilled steak in need of a good rub. I know he was just experimenting after having eaten at Louie's so many times before, but I was glad I stuck with more standard Q items. Much photography, and meat talk ensued around the table but eventually we whipped out Scott's special surprise, some Dr Pepper BBQ sauce ice cream he had specially made for the event. More photography followed and a general consensus developed that, while they were glad to try it, Bluebell is safe for the forseeable future. One honest soul from the Houston group stepped up to admit if he was left alone in the house with it, he'd probably eat it. Scott took it like a man and I managed to formulate an even more dangerous concoction which I shall produce and consume later this week! All in the name of BBQ science, of course. I passed by this little joint once before on one of my fishing trips, but not during the three days they are open, Thurs- Sat. I planned a little better this trip and caught them just after opening on Thursday morning. 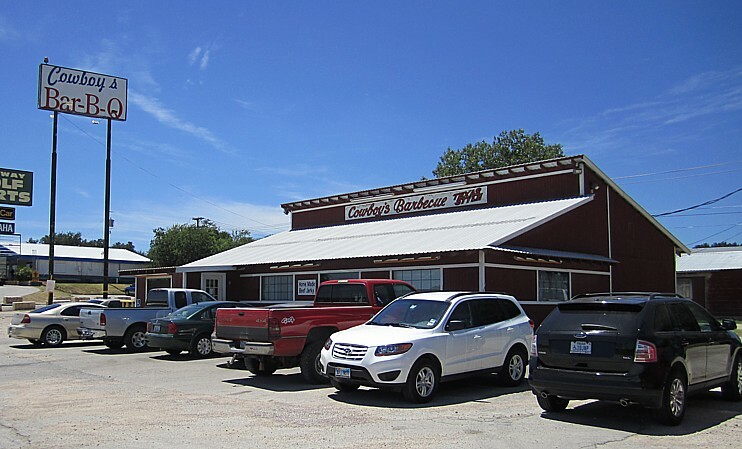 Unfortunately, the proprietor told me he would not have any ribs ready til later in the day as he sold few on Thursday and they are mostly a Friday/Saturday item. Darn. I made due with a generous 2 meat plate which was only $7.75. I probably got the first slices off a fresh brisket and they were mighty tasty. Perfect tenderness and moistness, definitely plastic fork tender. 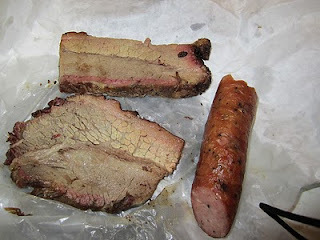 There was a decent smoke ring but just a hint of smoke flavor. Great meat flavor, though. 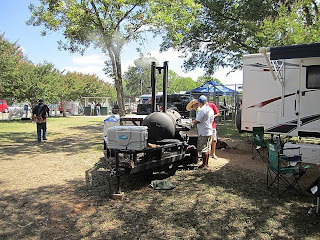 Certainly enough smoke to qualify as good Q. The sausage was excellent. Sort of a medium grind with nice flavor but not at all spicy. A wonderful change from the "store bought" most little Q joints (and some bigger ones) seem to serve. The casing was an easy chew and the slight coarseness of the grind really brought out the flavor. I enjoyed the sausage, even though I usually like it spicy. I need to ask them about that sausage on my next trip and I for sure need to sample some ribs. The sides were nice and different from those you get most spots. The potato salad was chunky with mayo base and a sprinkling of fresh chives and bacon. 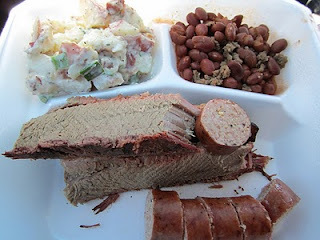 The pinto beans had a touch of spice and smoke with bits of brisket crumbled within. Both were way better than your average sides. The sauce was super thick tomato base with a touch of spice and lots of smoke flavor. I liked it, too. 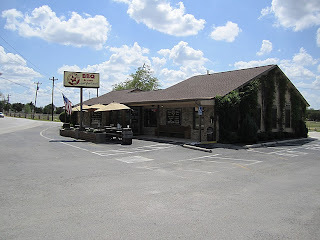 Overall, I think this place is a find and someplace I look forward to sampling again, when they have ribs!! 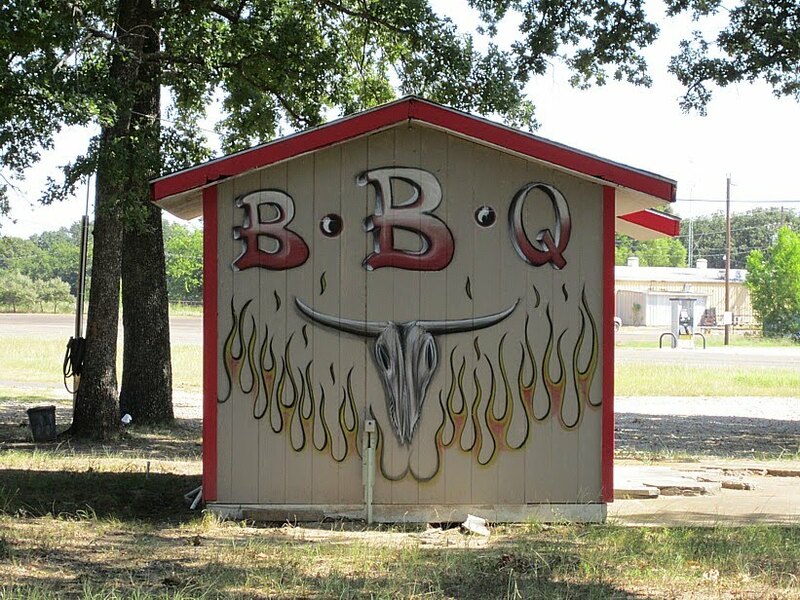 I passed this cool little BBQ shack just south of Yantis, Texas near Lake Fork. I assume it is a weekend only location but unfortunately I passed by on a Thursday. No signs or anything to indicate when they are open. I loved the artwork. Now I wonder about the food!! .